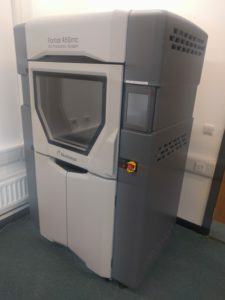 This is an industrial production 3D printer, it can print very quickly and has a huge build size of 450 x 450 x 306mm. The print quality and grade of material is high enough for functional parts, including Formula-1 and aerospace parts. *Prices are reduced for greater volumes. Jobs also incur a fixed fee ranging from £27 to £32, depending on material. 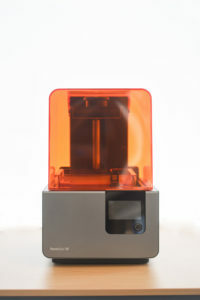 The Form Labs 2 is a Stereolithography (SLA) 3D printer with a wide range of materials. As parts are laser cured it can produce 3D prints with intricate detail and an amazing surface finish. Click here for further details of this printer. **Prices are reduced for greater volumes. All jobs incur a minimum £25 setup fee. Some jobs may also incur a post-processing fee. Please email us at info@makingrooms.org for a quote.